Tamsin: My favourite Jasmine scent would have to be tied between Joy by Patou (on my mother’s dressing table as a permanent fixture when I was growing up) and White Gold by Ormonde Jayne. Mitsouko is my favourite perfume, so I’d really love to get the eau de parfum (I own the perfume both modern and vintage and vintage eau de toilette). Thank you so much to you and to A.
JH: Thanks A for the giveaway! 1. My favourite jasmine is Joy (Patou of course). To be exact it’s a rose-jasmine but it’s so gorgeous. Other white florals that I love (leaning more towards tuberose) are Fracas and Nicolaï Number One. Carla: Thank you! Dear A, I have always loved Sarrasins by Serge Lutens for its jasmine. However I even more highly recommend the new MEM by Bogue. It is so beautiful and jasmine is one of its strongest components, along with, surprise, lavender. If you want a mixed white floral with jasmine rather than tuberose or gardenia and a lovely Chypre feel, I recommend Odalisque. Mridula Koshy: Thank you A and Victoria for this giveaway. I love A la Nuit which is getting quite a few mentions. I also love attar oils of mogra and chameli which are available in India (and perhaps elsewhere too). But my favourite white floral has to be SL’s Tubereuse Criminelle. It is a much headier experience than A la Nuit. But maybe this is not a fair comparison. yumeyorimo: Thank you Victoria and A. 1. Since my favourite white floral, Joy, has already been mentioned, I will suggest something unusual: Jasmin et Cigarette by Etat Libre d’Orange, if you are feeling adventurous. Queen Margot is a very beautiful jasmine! This perfume was sold as part of the collaboration between the perfumer Nicolas de Barry (composer of “Reine Margot”) and Maître Parfumeur et Gantier. Today it can only be found under the brand name of Nicolas de Barry’s perfume house. Alssandra: What a sublime and generous offer. 1) A LA Nuit or, if you are looking for something perhaps more original and a bit tropical, even Ormonde Jayne’s Sampaquita would do. For something more airy and for simple everyday use, I would recommend Carthusia’s Gelsomini di Capri, which is surprisingly delicious! Kathleen Smith: 1) I can’t choose; my favorite Jasmine is between Areej Le Dore Flux De Fleur and Auphorie Mayura. Both bursting with Jasmine as well as other white flowers. Paola: Hi and thanks to A. and Victoria for this giveaway. 1) La Haie Fleurie by L’Artisan Parfumeur (previuosly known as La Haie Fleurie du Hameau), but I think it’s discontinued. Sarah Hicks: 1) Chopard Jasmin Moghol – pure Jasmin (and a little Tuberose).So incredible! 1: My personal favorite fragrances with jasmine are Parfum De Therese by Edmond Roudnitska and Shangri La by Hiram Green. Monica: Thank you A and Victoria for this wonderful giveaway. Cornelia Tersanszki: 1) Jasmine is my favorite white flower, too. Parfume? Sarrasins (Serge Lutens). – favourite is Private Collection Jasmine White Moss Estee Lauder. Celeste Church: I know tuberose and orange blossom give the Jasmine in Robert Piguet’s Fracas a run for the money, but I think the Jasmine is very beautiful in this white floral masterpiece. It’s so lush and gorgeous…makes my whole body smile when I smell it. So I have been testing 2 gorgeous jasmines the past few days. I recommended them in the previous ‘recommend me a perfume’ thread but will gladly recommend them again since they are so very nice. 1. Drama Nuui (Parfumerie Generale). Radiant, buttery jasmine soliflore, slightly powdery with just a hint of spice to give it a bit of an edge. It shines like a ray of sunlight. 2. Madagascan Jasmine (Grandiflora); Michel Roudnitska created this marvel that is both sensual and light at the same time. The jasmine is kept green & crisp, and will bring springtime to even the darkest winter morning. Aniko: Thank yous go to both Viktoria and A. 1. My favorite jasmine scents are Jasmin White Moss by Estée Lauder (my first chypre), Privilege by Parfums Privilege (my second “serious” scent after First by VC&A, it really dates me), and Jasmine Full by Montale. Sandra Park: 1. K de Krizia! Vintage! A personal old fave. Muriel: Hey, I surely lack all the experience to recommend a perfume, but I think that Annick Goutal would definitely sit beautifully amongst the perfumes you are willing to share. Then again, this new passion of mine didn’t allow me to discover them all – yet-, but Matin d’Orage is probably my “white flower” crush. Sylvia: My favorite white floral is Estee Private Collection Tuberose Gardenia. Besides being very easy to wear anytime of year, It’s affordable and easily found! Yes you may share my email and contact information. Audrey Esko: Thank you for the giveaway. This is very generous of you! 1. Favorite Jasmine, Le Maroc Pour Elle by Andy Tauer. Anna: Thanks A and Victoria for the giveaway! 1. My favorite jasmine fragrance is Tom Ford, “Jasmin Rouge” and from the white florals my absolute favorite is “Love in White” from Creed! Gentiana Craciun: What a generous giveaway ! How I would like to be the lucky one ! I LOVE Mitsouko in all its forms. 1) for me, the most beautiful jasmine perfume is Songes by Annick Goutal. Lynn: My suggestion is to sample soliflorals. Tom Ford Jasmin Rouge is my favorite. It’s almost all jasmine. Or Annick Goutal Le Jasmin. Elizabeth: Jasmine has been a struggle for me. Nothing smells how I perceive jasmine to be. The closest I have come is PG23 Drama Nuui Pierre Guillaume. My favourite white floral is Serge Lutens Un Lys. Heaven in a bottle. This is a lovely giveaway. Thank you for the opportunity. Auntie Lar: Happy to participate-thanks! 1. Another vote for Serge Lutens Sarrasins, when you want your jasmine to double as a drug. When you want to be able to take it everywhere, I go with Memo Paris Lalibela. Elke Schmeling: 1. Hands down my favorite white floral (with Jasmine in the heart!) is Ciel d’Opale by Ann Gerard. The nose behind it is Bertrand Duchaufour. It’s not as heady as some other white florals, and it’s a compliment getter. Lovely. 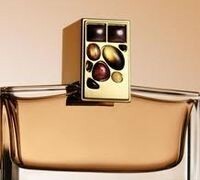 Another one to consider for the jasmine: Fleurs d’oranger by Serge Lutens. It’s more jasmine-y than orange flower-y. Good luck! Carolyn: I love jasmine scents. They seem to smell nice on me as I alway get compliments. One of my very favorites is Sheer Tiffany, alas it is discontinued but I also like Tiffany. Yes you mail email me. kate: 1. thanks for the opportunity! jasmine is hit or miss on me, but i love serge lutens a la nuit, as well as l’etat libre d’orange’s jasmin et cigarette. Patty Wood: 1. My fave containing jasmine, done my way by Malle, is Parfum de Terese. Heather Raine: 1. My favorite white florals is Diptyque’s Do Son. Soooo good: refreshing like a late Spring breeze blowing through flower bushes. I felt like the Jasmine and Tuberose were beautifully balanced. Isabelle: 1. Sambac Jasmine is my favorite white floral and I have a small vial of absolute I love to sniff. As a white floral perfume with jasmine, i love the vintage Lanvin Arpege. 2. Yes I can be contacted via email. Jani: Hello A! Thank you very much for your giveaway offer. Even if I don’t win it, I think it’s so generous and considerate of you to think of all Victoria’s friends and students on boisdejasmin. 1) My pick for best jasmine fragrance is Jasmina from April Aromatics. It is almost all jasmine (natural, no less), with just a hint of ylang ylang and grapefruit. So beautiful and bright! NancyC: 1. Not a lot of experience with jasmine or white flowers, but I tried SL Tubereuse Criminelle recently, and it was a revelation! Hayley: Wow what a generous giveaway thank you for doing this. 1) I love jasmine and a la Nuit by Serge Lutens is top followed by Olene by diptyque. Gillian: Thank you for this generous giveaway! 1. My favourite white floral is Chanel No. 22. Hana: This is very generous! Thank you! 1. My favourite jasmine is by Kilian “Love and tears”. Judy: What an amazing giveaway – thank you from someone newly immersed into the world of fragrance. 1. ALTAIA Don’t Cry For Me has captivated me of late with its depth. Neva: 1. Jasmin Angelique from Atelier Cologne is my favourite jasmin perfume. Amy: What a fabulous giveaway! 1. My favorite jasmine perfume is DSH Gelsomino. Theresa: I would LOVE to win this giveaway, as I have recently been exploring classic Guerlain frags, and what could be more classic than Mitsouko? Yes, you may contact me by email. Tammie Holland: Thank you for this wonderful giveaway! 1)Have you tried the 2016 version of Carolina Herrera, Carolina Herrera? It is a rich and beautiful white floral with jasmine and garden is. I love it. California Reverie, also well- loved. Much fun enjoying the journey! Mj: Thanks A & Victoria for the giveaway! tam: Thank you for your generous giveaway, A! 1) I enjoy Carolina Herrera by Carolina Herrera 2016 Very rich and beautiful. Also California Reverie. Best wishes for a wonderful journey! Ophelia: Have you tried Diptyque Essence Incensees Jasmin? It is a golden, warm, heady jasmine, drunk on nectar! And the bottle is very pretty ribbed glass with a retro pump. 1. My favorite white floral would be Serge Lutens A La Nuit. A close second would be Hermes 24 Fauborg. Both are such balanced and perfect compositions. Cybele: 1. My favourite Jasmins are A la Nuit by Lutens and Love and Tears By Kilian for a transparant and clean variety. flowergirlbee! : thanks for the giveaway,i could use some cheering up. i am very happy to be emailed. i am not a big white floral or jasmine person. i do like annick goutal un matin d’orage and have enjoyed wearing the tiniest dabs of carnal flower by frederic malle.i also use jo malone’s orange blossom cologne. i am wondering if i can sneak in my favourite osmanthe yunnan in the hermessence range but i am not sure if osmanthus counts as a white floral. Notturno7: Good Lord! Mitsuko giveaway!! My heart just skipped a beat ❤️. Thank you for this most generous offer, A. I’d be delighted to be contacted via email. On the topic of my favorite white florals, I can write a small essay. Just kidding (only partially😂). Sarrasins is my favorite jasmine but I love Songes in the summer. White floral faves: no 22, no 5, Bois des Iles, Allure in pure perfume, 24 Faubourg, White Linen (also in the summer), Tuberose Criminelle, Une Voix Noire (darker, muted gardenia / grape), Fracas, Rive Gauche, Diorissimo. I’m sure as soon as I clink send, I’ll remember something else I love but forgot to mention. Notturno7: I forgot to say that I broke my bottle of Mitsuko EDP few years ago. It fell out of my hands and shattered on the bathroom tiles. It still pains me to think about it! elvie: What a generous giveaway! Thank you A.and Victoria! I would love to participate very much. 1. Sarrasins! Sarrasins! Sarrasins! You HAVE to try it! 2. Of course:). Please do! Zaneta: My first recommendation is A Scent by Issey Miyake, a very green fragrance with jasmine. My second recommendation is Jasmin Imperatrice Eugenie by Creed, a more vintage style perfume. Figuier: What a generous offer, thank you A. and Victoria! 1. Songes edp ,dabbed not sprayed, is a lovely tropical jasmine with plenty of vanilla (tho the edt is great too); close second comes By Kilian Love and Tears, it’s much more delicate and feels like a “true” soliflore. 1. A Jasmine perfume that has not been recommended but I love is Lust by Lush. You don’t get the complexity of a Guerlain perfume. But still, for me it smells like the very real thing -or my own Platonic Jasmin idea. Plus it lasts on my skin forever. When I wear it I feel like walking through a BOIS DE JASMIN. Guillaume Malingri de Bagnolo: 1. Al-shiyokh Mesk by Al Majed for Oud. Jaime: Definitely try Acqua di Parma’s Gelsomino Nobile. It is a beautiful and innocent jasmine. Karina: 1. Ubar Amouage and Memo Granada. Maya: Thank you Victoria and A. 1. A wonderfully nonchalant but not mundane jasmine is Love and Tears (By Kilian). If you are a lover of green along with your jasmine then this is the one for you. Monika: 1. I’m not very experienced with jasmine, yet I’d like to recommend one seldom mentioned perfume – Catch… me, by Cacharel. Very joyful and festive. It brings to my mind Easter celebrations (rather down to earth not spiritual side of it) or wedding parties. Besides the jasmine it combines orange flower (which I often associate with elegance and chic, I don’t know why) and almonds. Karen (Kaleidoscope): Thank you for this generous offer, A and Victoria! I rather like Gucci Bloom. In addition to jasmine, you get tuberose as well as other white flowers. The staying power and sillage are delicious! Karen: Thank you for this generous offer, A and Victoria! I like Gucci Bloom for its refreshing bouquet of jasmine, tuberose, and other white flowers. Great staying power and lovely sillage. Poppy: 1. While I wouldn’t call it a jasmine perfume, my favorite perfume with jasmine in it is Le Parfum de Thérèse. Lora Wooten: Thank you for the awesome offer! I enjoy Bvlgari Jasmin Noir and Gucci Bloom Acqua di Fiori. Robin L Ott: I love Ormonde Jayne Frangipani! maggiecat: Hey, I’m still searching for the perfect jasmine – but it’s a lot of fun trying bunches of them. I’m intrigued by the new Cedre Sambac – definitely different, very lovely on skin but a bit scary at first. And Lancôme’s Jazmin et Marzipan is growing on me – it’s light but more complex than one would think. Also – and I don’t think this has been mentioned – L’Occitane’s Jasmin et Bergamote is a very nice fresh jasmine, perfect for warmer weather. KP Mittelmann: 1. Favourite jasmine: Superstitious from Editions de Parfums Frederic Malle (be warned: very indolic), favourite white flowers: Carnal Flower from Editions de Parfums Frederic Malle. 1) My favorite jasmine is BVLGARI’s Mon Jasmin Noir edp. Mary Thomas: Hi Victoria and A!!! Julie: Thank you so much for the beautiful giveaway! Em: 1. Here’s another vote for Tom Ford’s Jasmin Rouge. This combination of floral and spice nearly makes me swoon. David: 1. I am another Tom Ford Jasmine Rouge supporter. Erica Smith: Oh wow! What a wonderful giveaway. Favorite white floral is by Kilian, Voulez-Vous Coucher Avec Moi. Lydia: What a kind offer! I would love to be contacted. My favorite jasmine perfume is Odalisque by Parfums de Nicolai. It smells to me like a lovely, sweet, ladylike jasmine on a clear spring day. My very favorite white floral generally is Ostara by Penhaligon’s. 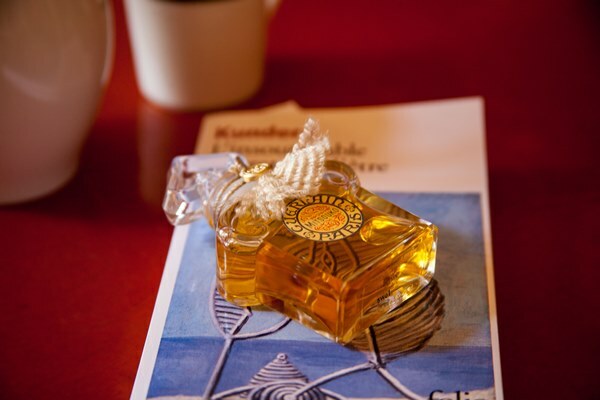 It’s also a spring perfume, but it has a lush, honeyed quality. Mel McMillan: Thank you both so much Victoria and A for the giveaway! I’m very much a newbie in this (I’ve never smelled Mitsuoko! Gasp! ), and I’m slowly working my way through all the brands at my local Sephora as it’s all I’m near – supplemented by one Serge Lutens sample set I bought (my first! Yahoo!). My breadth of knowledge is therefore, limited. Nevertheless, here goes. 1) I’ve seen a few people mention Sarrasins and I loved it! A la Nuit was soooo ‘jasmine!!! !’, too much for me; but Sarrasins had a smokey, hazy, nighttime feel to it, as if someone wearing the softest leather jacket had just snuck a cigarette behind a jasmine covered wall at an evening party. My aunt used to wear Jo Malone White Jasmine and Mint- which always smelled like someone had made a big pitcher of jasmine and mint sweet tea. Summery and I remember loving it! Small: 1. It’s a screechy jasmine, but I do like Thierry Mugler’s Alien. 1)Tom Ford- Jasmine Rouge. A delicious and intoxicating combination of joyful brightness rounded out with some rich, deep intrigue. Glorious in its scope, and aptly named. 2. Yes, please contact me by email. Carolina: 1. I used to wear and love vintage Carolina Herrera (with the black polka dots on the box). That is a gorgeous white floral. I don’t know how is the new version. Jodee: Hello Victoria & A, great contest! Thank you. Egyptian jasmine, orange blossom and musk). Annick Goutal: Songes (white flower haze with vanilla). Sarah: 1. The only jasmine-centric scent I have is Acqua di Parma Gelsomino Nobile. It doesn’t get a lot of love for some reason, but I think it’s beautiful, very rich. Amy Goldstein: I second the vote for Gelsomino Nobile! To me it actually conjures the real thing on the breeze! Dana: I’m so glad you asked about this! Jasmines and white florals are my favorite, I’ll be looking up everyone’s recommendations later. 1. Jasmine- Serge Lutens A La Nuit, I wore it on my wedding day this past May! Other white florals: Serge Lutens Fleurs d’Oranger, that and the Houbigant are the two best orange blossoms! Neela Vereire Creations Niral is also stunning, it would have been a contender for the wedding had I smelled it before, it’s a blend. Mostly white but has some rose. I found all of them on this site, it’s so helpful. The Serge Lutens are more streamlined while the other two smell more complicated. Eyneen: 1. Jasmine Sambac Superior by Rising Phoenix Perfumery. It is a perfume oil. 1. Jean Patou Fracas is what comes to mind for a white floral; I have only sampled it though. Anne: Such a generous and exciting giveaway! 1) I know it’s already been mentioned but tally me to the Annick Goutal Songes camp for a lushly lovely jasmine. Alternatively, when I’m in the mood for an uber-cheerful wisp of jasmine I love Bvlgari Mon Jasmin Noir L’eau Exquise for its light effervescent blend of pomelo citrus and jasmine. Charlotte: 1. I like Jasmin EDP by Molinard. It’s a punchy, realistic soliflore that, while affordable, still feels high-quality. The packaging matches the juice: loud (purple) but dignified (square and apothecary-influenced). Maye: How can anyone go wrong with jasmine (or tuberose either)? Raymond: 1. I like Olène by Diptyque, which is a true-to-life, properly indolic jasmine. My favorite white floral is Private Collection Tuberose Gardenia by Estée Lauder. Zuzanna: 1. My favourite jasmines: Secret Joly and Marions-Nous, both from Oriza L. Legrand, but completely different – SJ is lush, smells as it were made in the eighties, were it a colour, it would be electric dark purple, MN is dry and restraint, with tobacco and talcum notes; golden and creamy white. My favourite white florals: Divine (Divine), Moon Bloom (Hiram Green), Jardin d’Armide (Oriza… again). Mary: JOY of Patou reminds me of my mother, it is her cherished perfume, so smelling it remonds me of her. 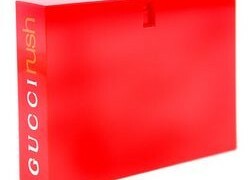 How fun it would be to receive these goodys and try some new perfumes. It is fine to contact me via email. Sam: Thanks A and Victoria for the giveaway! 1. Still expanding my knowledge for perfumes out there, the only jasmine I could really think of is Bvlgari Mon Jasmin, but I wouldn’t say it is floral, it’s more of a woody fragrance. Another one is 24 Faubourg, I actually got a sample not long ago and it smells wonderful to me. KatieAnn: Thank you for this most generous giveaway Victoria and A.
Olga: 1. I love Caesars Woman by Caesars World! Maybe it’s in bad taste, it was a cheap Las Vegas souvenir scent launched in 1988, but it smells so beautiful on me! I’ve been wearing it non-stop for about a decade by now. Got tired of everything else (including the likes of Chanel and Comme Des Garcons) but not Caesars Woman. I suppose it’s hardly a recommendation since it was recently discontinued (and I’m devastated about it!). But you can still find it online. Though it’s not that cheap any more. I don’t know if it qualifies as a jasmine perfume but it does have Egyptian jasmine in it. I read plenty of reviews for Caesars Woman online. Most people say it’s gorgeous and smells a lot more expensive than it actually is (to be precise, it’s now “was”). A few people said it smelled cheap on them, like a good soap, but soap nonetheless. I guess it all depends on your personal chemistry. But everybody, me included, seems to be astonished by how long this fragrance lasts and how little it changes as you wear it. I’ve never encountered anything like it. Susy: Thank you for this kind opportunity. 1.I love Goutal’s Songes. Also Lutens Fleur d’Oranger.